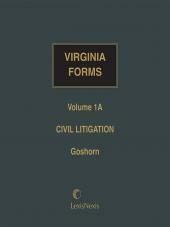 Virginia Forms offers more than 1,000 forms for use as rough drafts or guides. 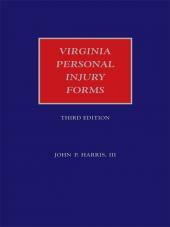 Virginia Forms offers more than 1,000 forms adaptable for practice. 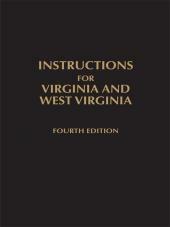 On-point case citations, explanatory notes, and cross-references accompany many of the forms. 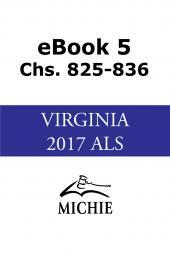 Expanded and updated, the set includes the latest changes in procedural and substantive law and decisions of the Virginia courts. Chapters provide a broad array of forms on civil litigation and civil matters, criminal procedure, commercial transactions, medical malpractice, and real estate transactions. 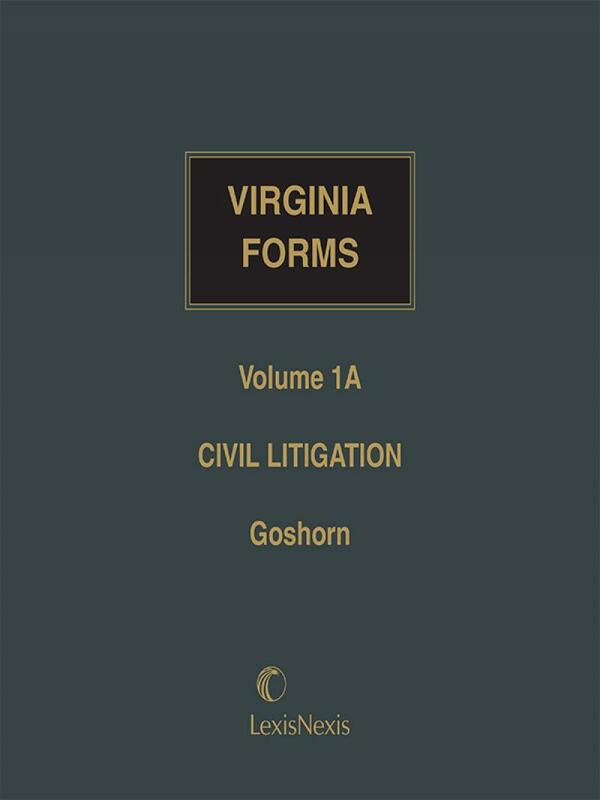 Barbara Goshorn is a member of the Virginia Bar. A graduate of Duke University, she received her J.D. from the University of Virginia School of Law. W. Clyde Gouldman II is City Attorney of Charlottesville. He is a graduate of Duke University and received his LL.B. from the University of Virginia School of Law. Frank J. Gallo is a graduate of Dickinson College and received his J.D. from the University of Virginia School of Law. Amy Morris Hess is Professor of Law at the University of Tennessee College of Law where she has taught trusts and estates and taxation since 1981. She received her J.D. from the University of Virginia School of Law.